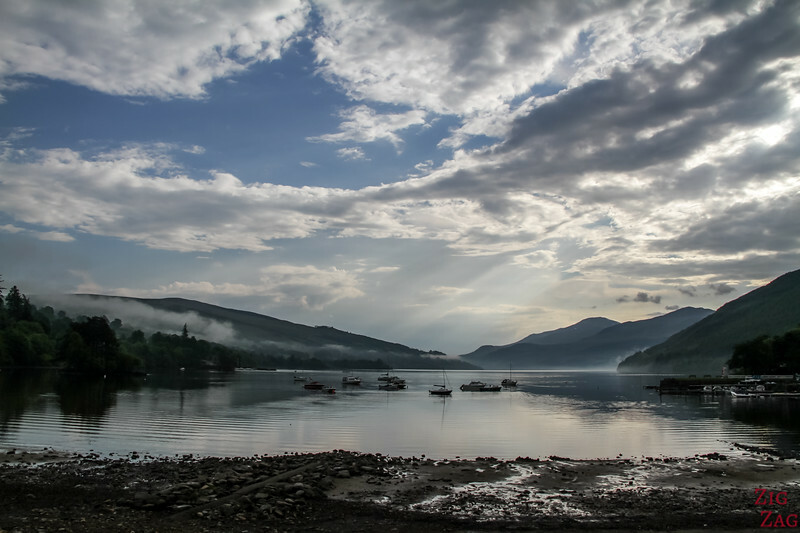 The North shore of Loch Tay Scotland is the main road to drive along the loch. 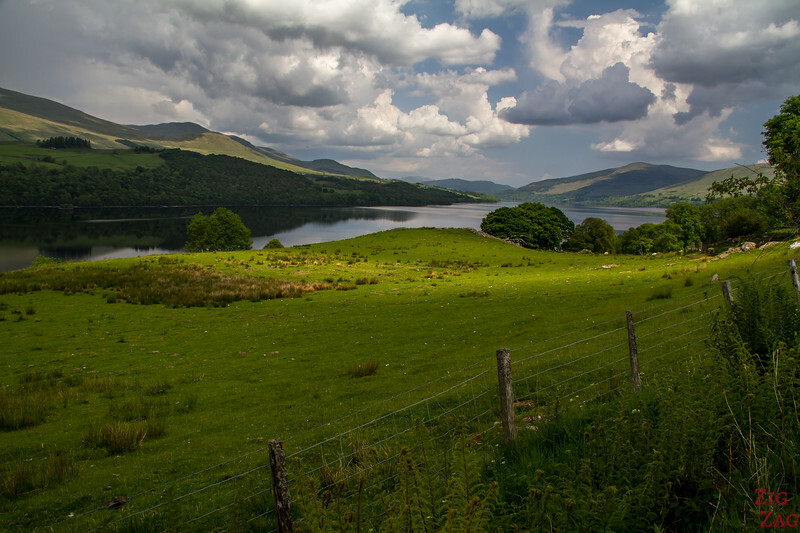 It has several small villages. 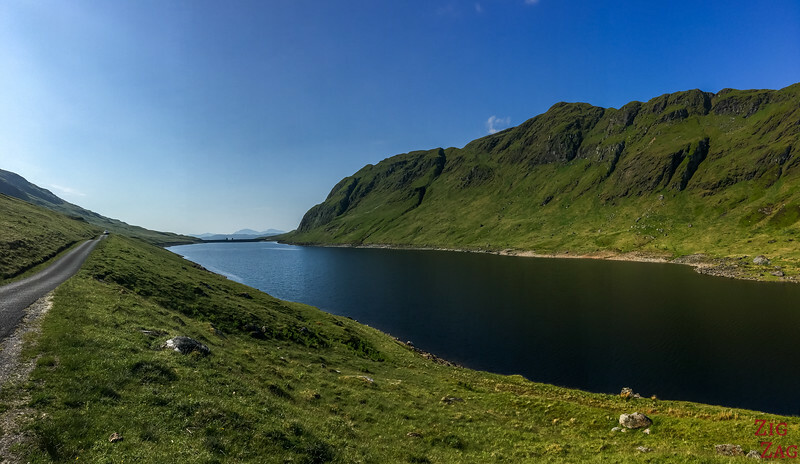 From there you can see the South summits such as Beinn Bhreac at 713m and Creag Uchdag at 879m. 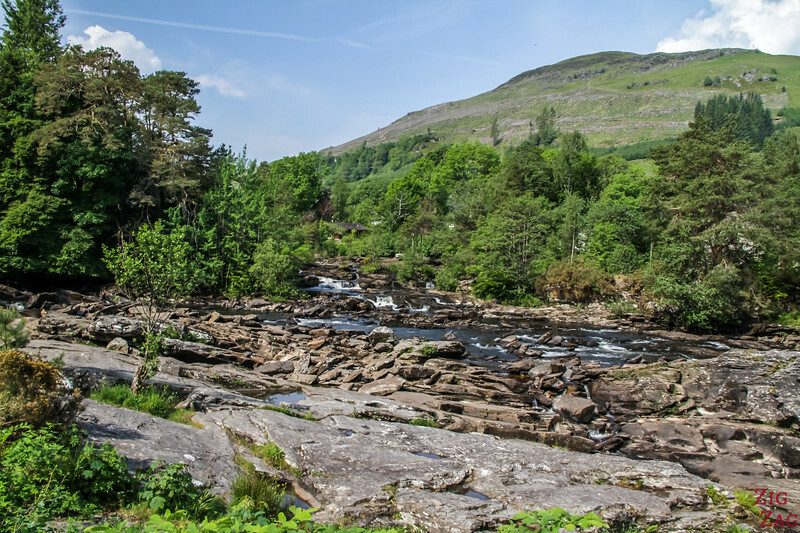 Located at the western end of the Loch in the town of Killin, the falls of Dochart are a popular attraction in the region. 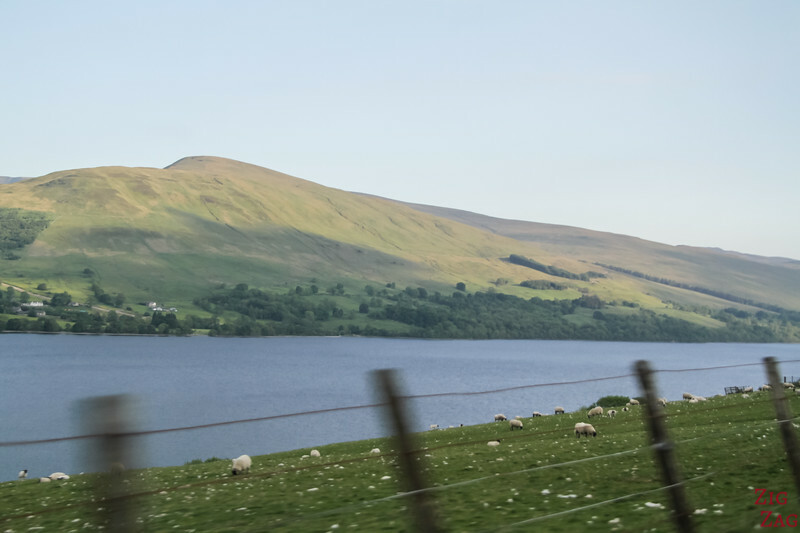 Everytime I drove by, I saw many cars and busses stopping there. 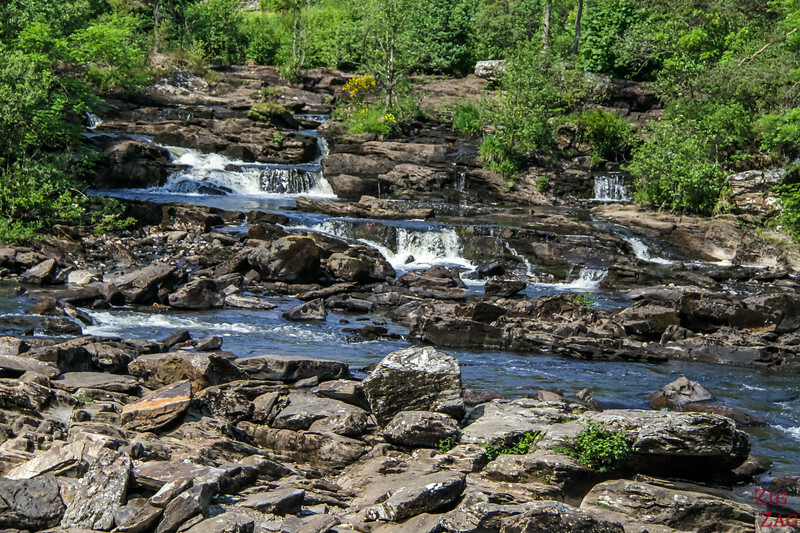 The falls are not really falls but 'rapids' on river Dochart, a succession of ​rocks on which the water crash. 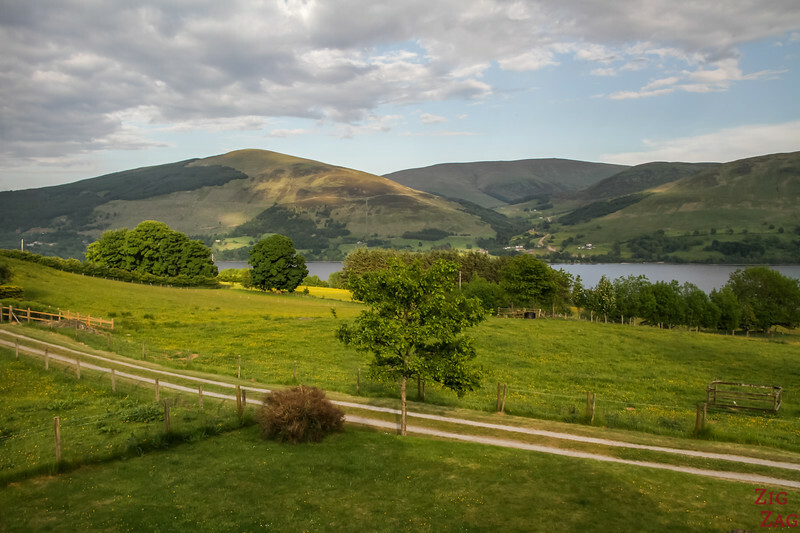 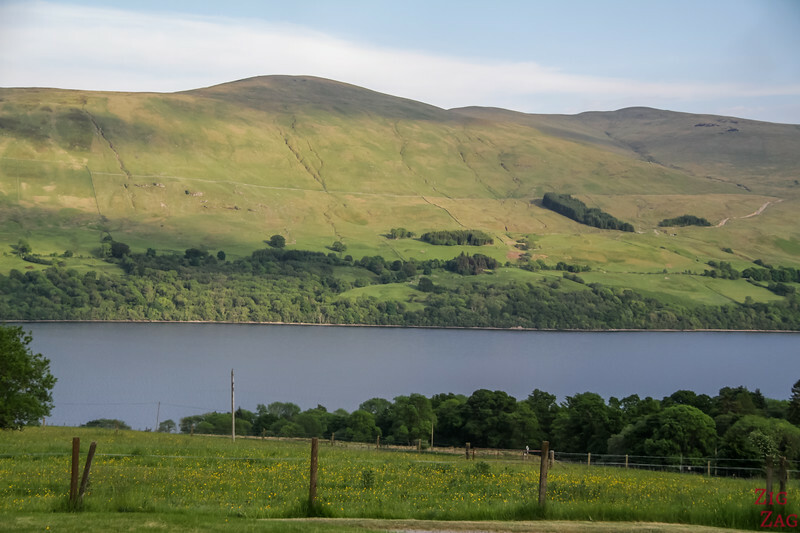 There is also a road along the South Shore of Loch Tay Scotland. 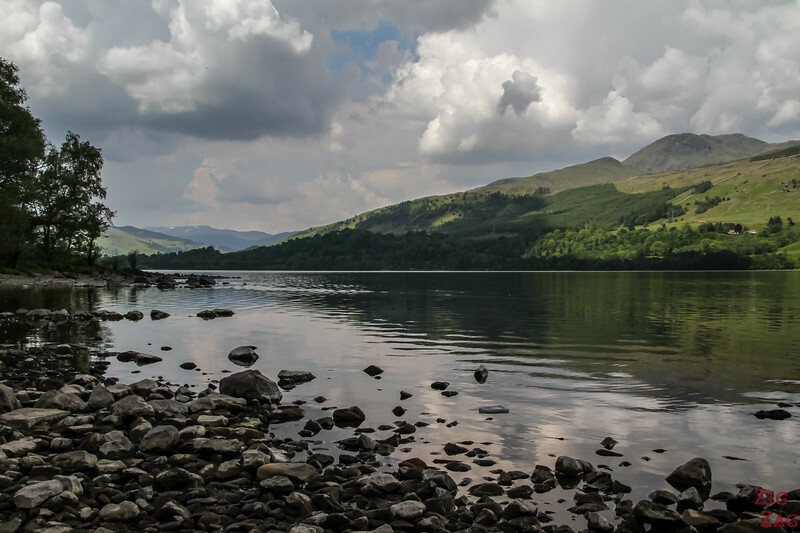 Like for many other lochs, most of the time you don't see the water as you are surrounded by trees. 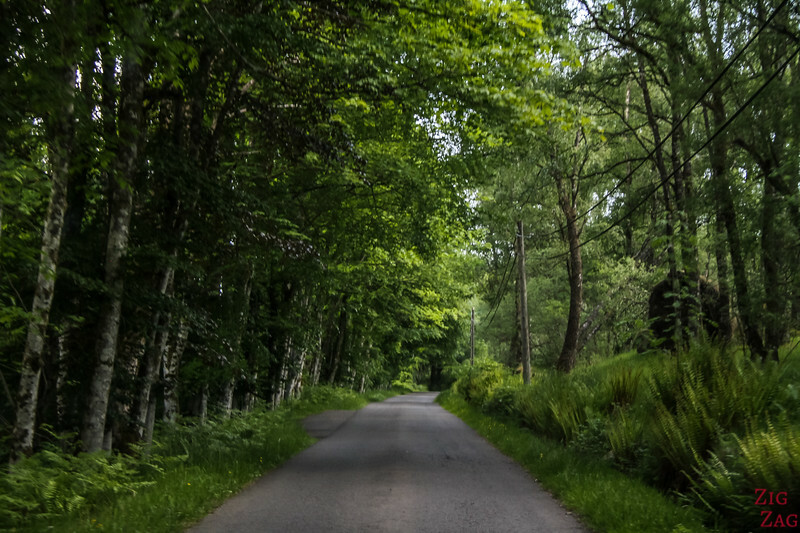 On this side, it is a single lane road. 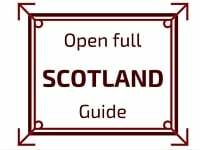 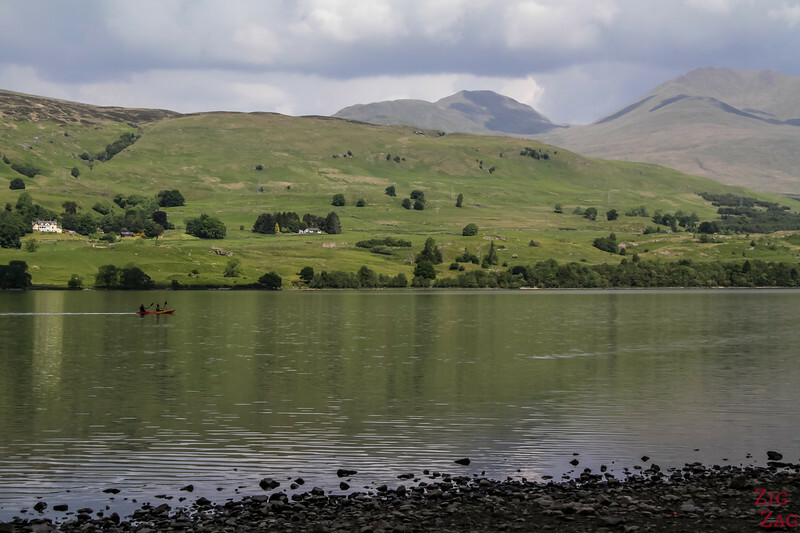 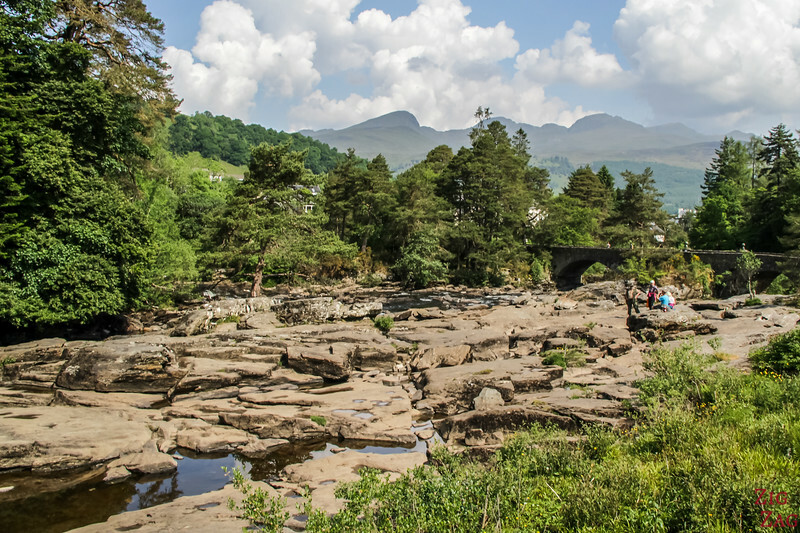 There are a few places to stop where you can walk by the river and admire the summits to the North including Ben Lawers at 1214m and Meall Greigh at 1000m. 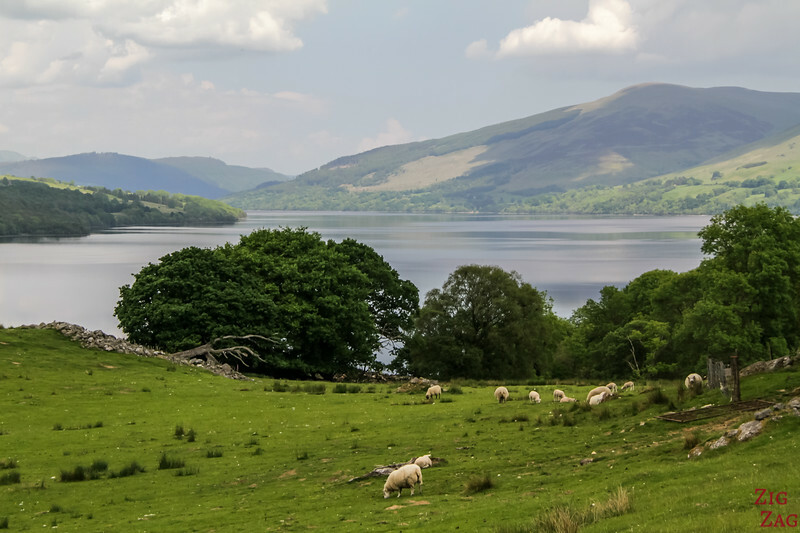 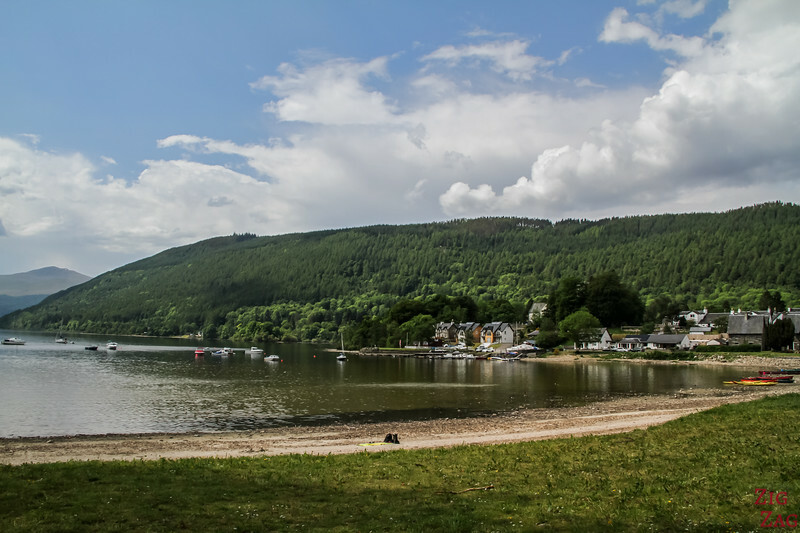 At the Eastern end of Loch Tay Scotland you can find the town of Kenmore. 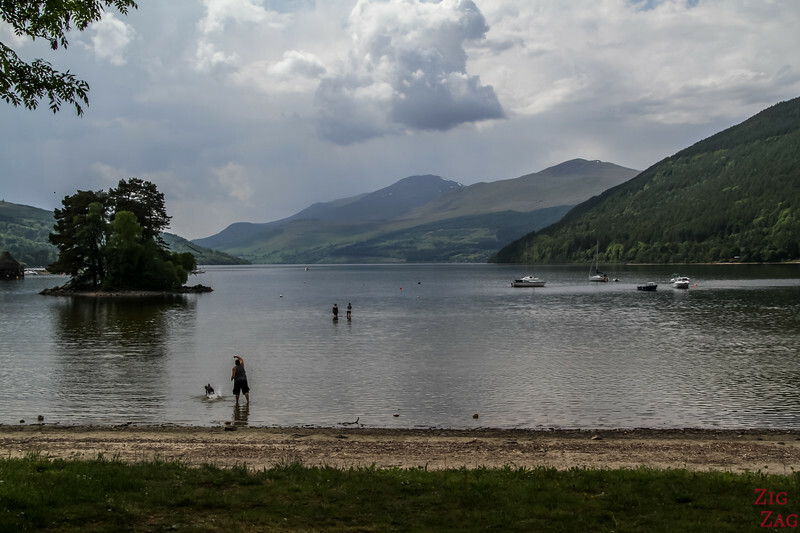 It feels very peaceful and its 'beach' is a great place to enjoy a picnic. 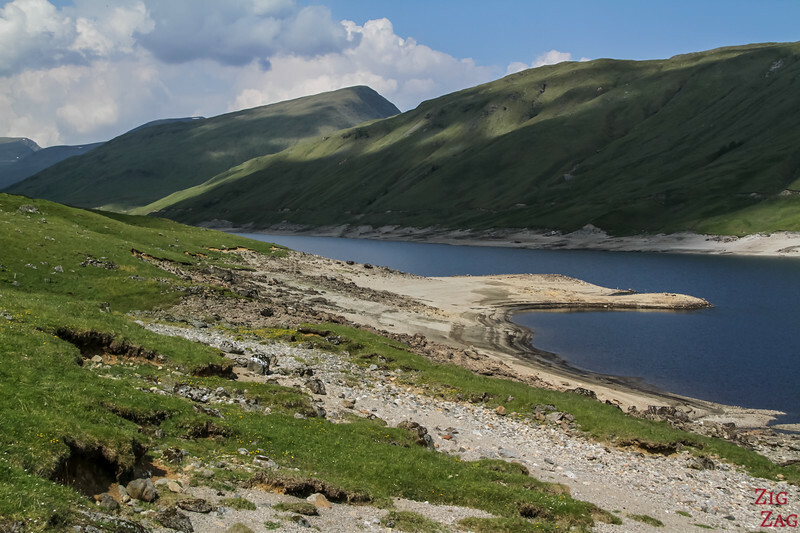 North of Loch Tay Scotland is the Ben Lawers Nature Reserve. 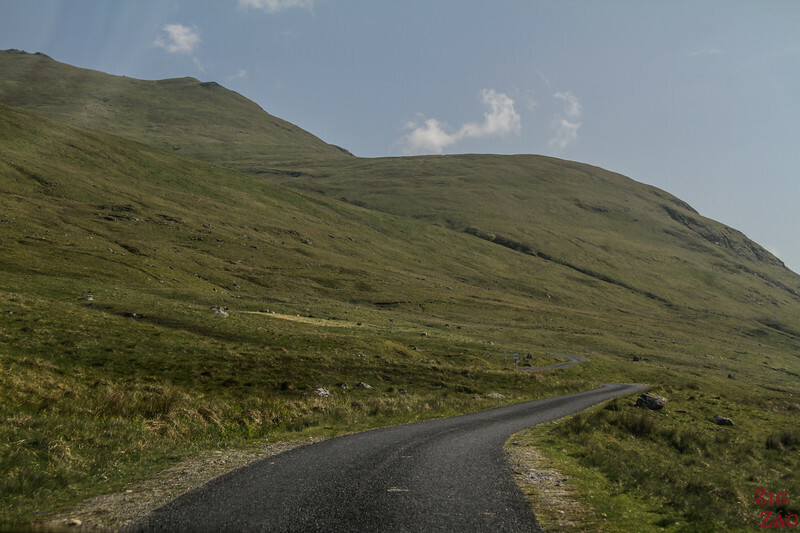 From A827, turn North towards the Lawers Dam. 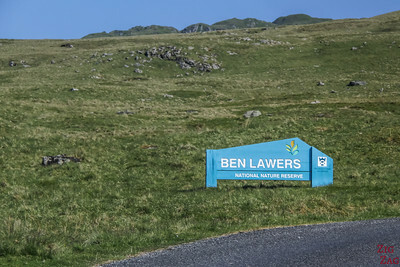 A carpark with leaflets is at the starts of the hike to Ben Lawers. 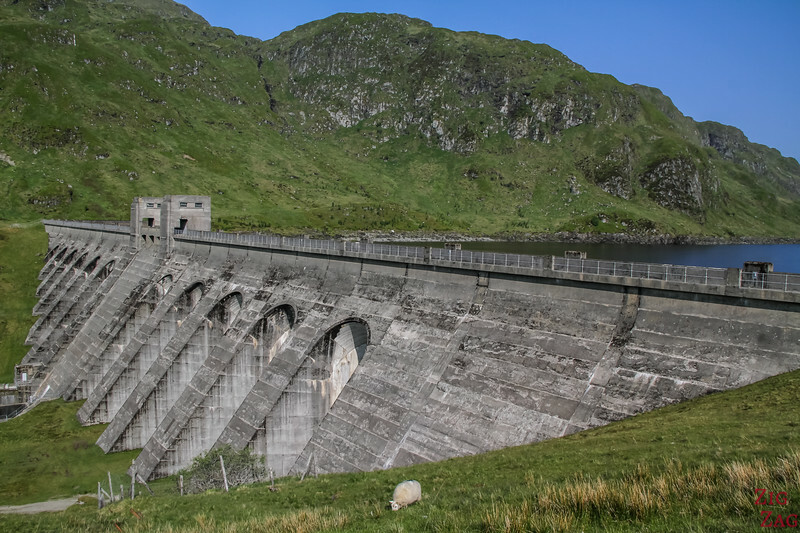 If you continue on that same road, you reach the Lawers Dam. 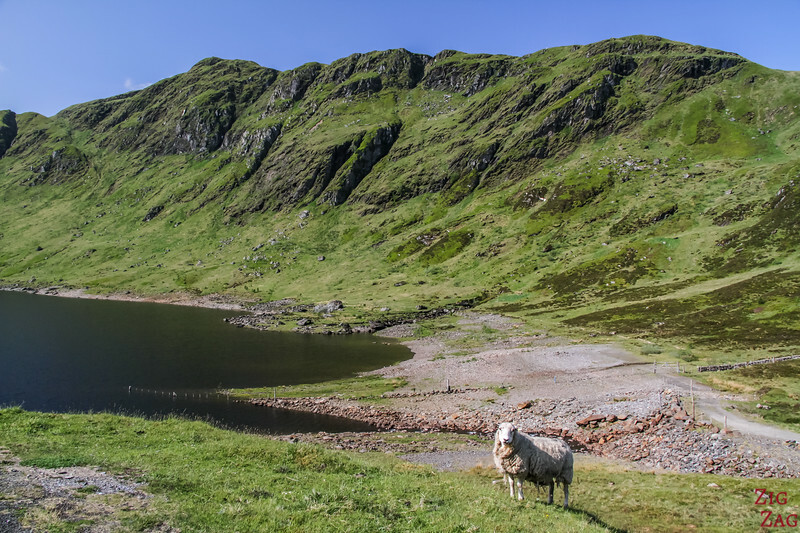 Built in the 1950s, it retains the Lochan Na Lairige. 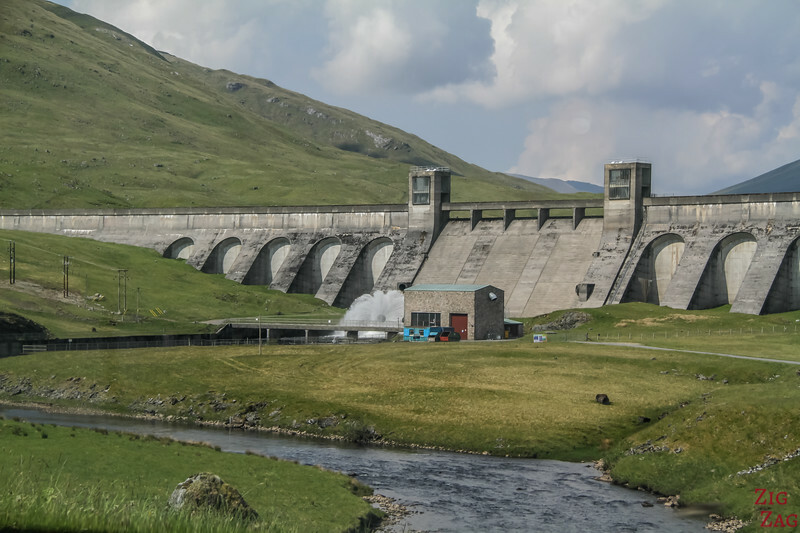 The reservoir collects water from 45km2 and its travels by pipeline to the Loch Tay power station. 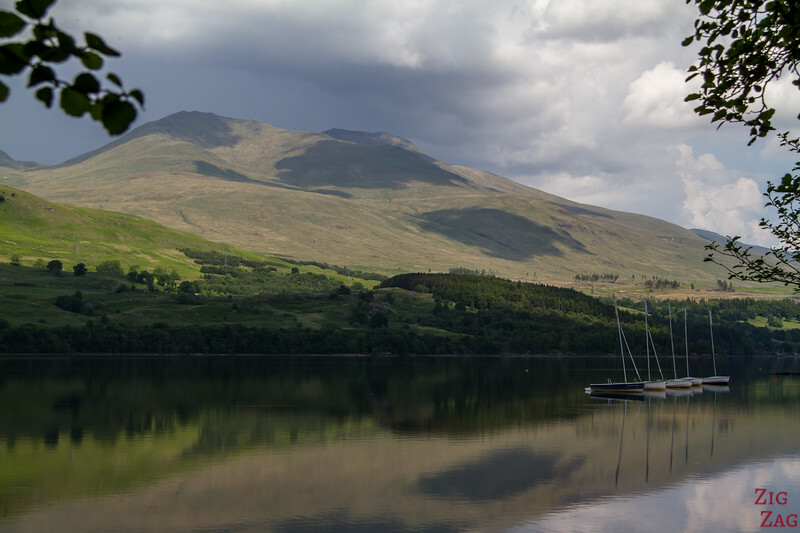 Glen Lyon is hidden in the hills with Ben Lawers to the South and Shiehallion on the North side (attention to to mix up with the famous vessel) . 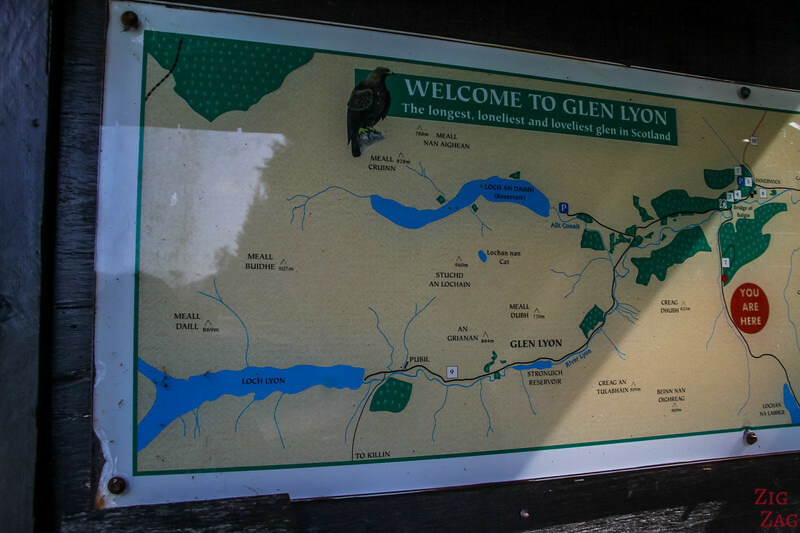 The glen is full of farms and beautiful walking trails. 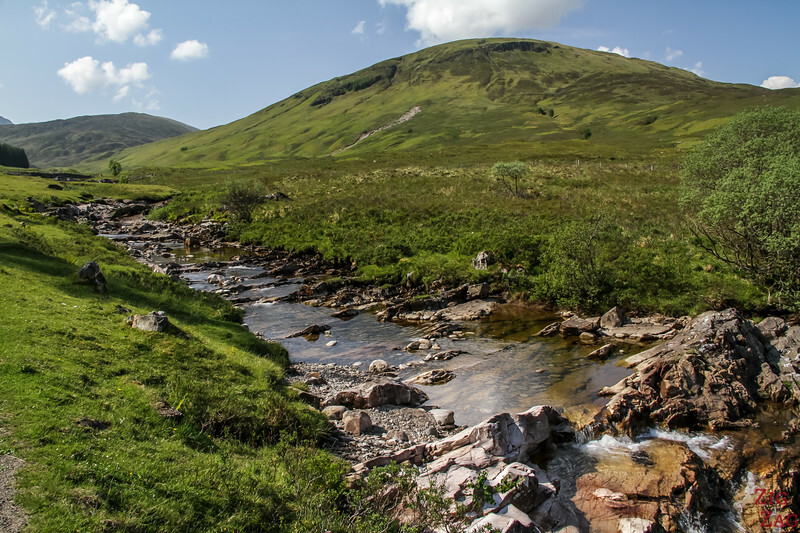 Small shops can be found at Bridge of Balgie. 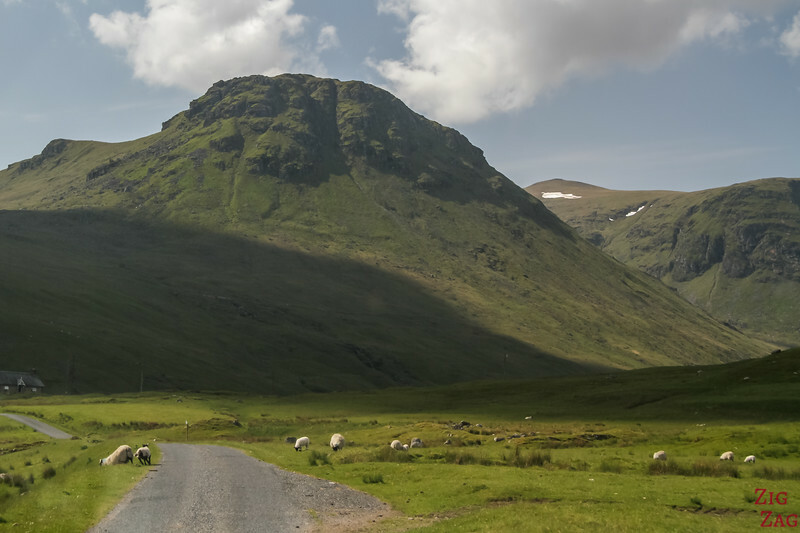 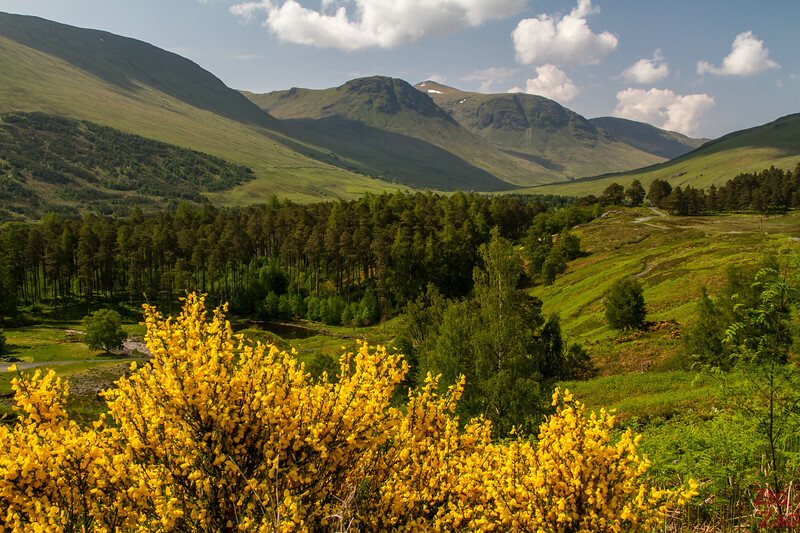 According to the sign it is the 'Longest, loneliest and loveliest glen in Scotland'. 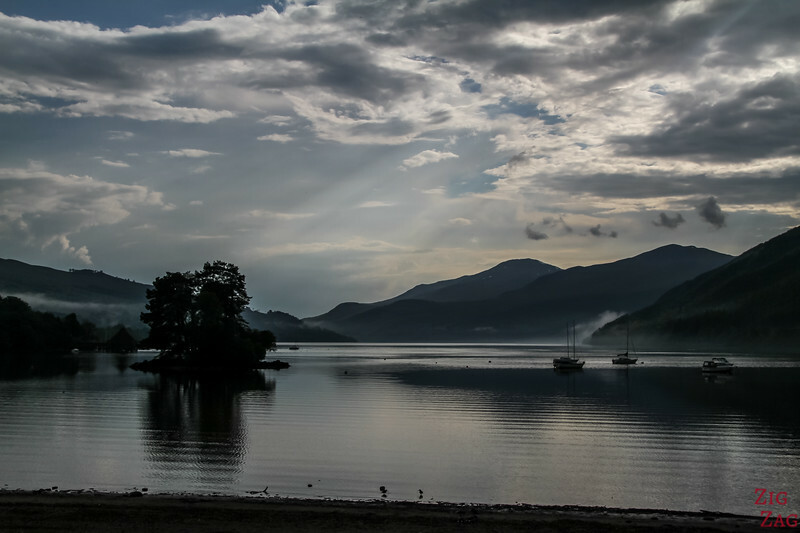 Have a look at the pictures below and let me know what you think! 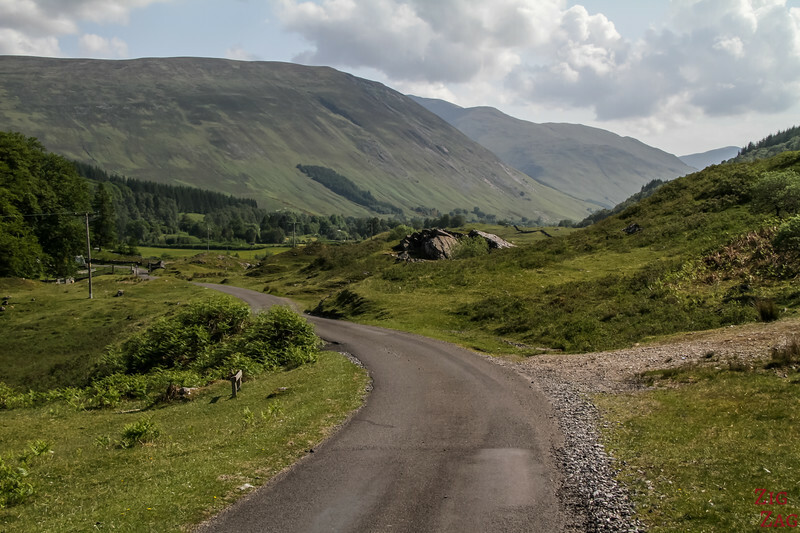 Later along the road, at the end of Glen Lyon Scotland is Loch Lyon (of course, very original...). 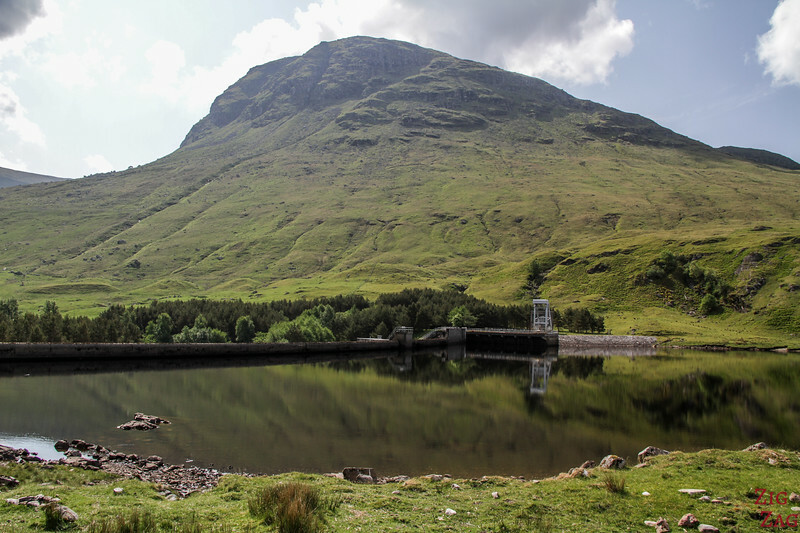 The loch is also maintained by a dam, the Lubreach Dam.